The Secret to the Best Parmigiano Reggiano Pasta - Ambassadors of World Food Tourism. Are you a cheese lover? We absolutely love cheese. There are just so many different varieties, and styles to enjoy. We can get seriously confused standing at a local cheese counter. One thing that we do know is that high-quality cheese makes for a tastier experience. Top flight cheese makes all the difference whether you’re just snacking, including it on a cheese board or adding cheese to your favorite recipe. One of the cheeses we adore is Parmigiano Reggiano. This cheese is perfect for so many recipes and eating just as it is. You may not know that all Parmigiano Reggiano is not created equal. Certified Parmigiano Reggiano cheesemakers use an exacting science. Just as with wine, Parmigiano Reggiano has a PDO status or Protected Designation of Origin. There are also specific elements required for a true Parmigiano Reggiano cheese. These include the use of raw milk delivered straight to the dairy after milking. Next, they use fermenting agents. Then, the cheese is aged for a minimum of 12 months. Finally, no other additives are included. Because of the long fermentation process, the cheese is easily digested. It is also lactose-free. Still rich in calcium this hard cheese is one of the healthiest cheese choices you can make. 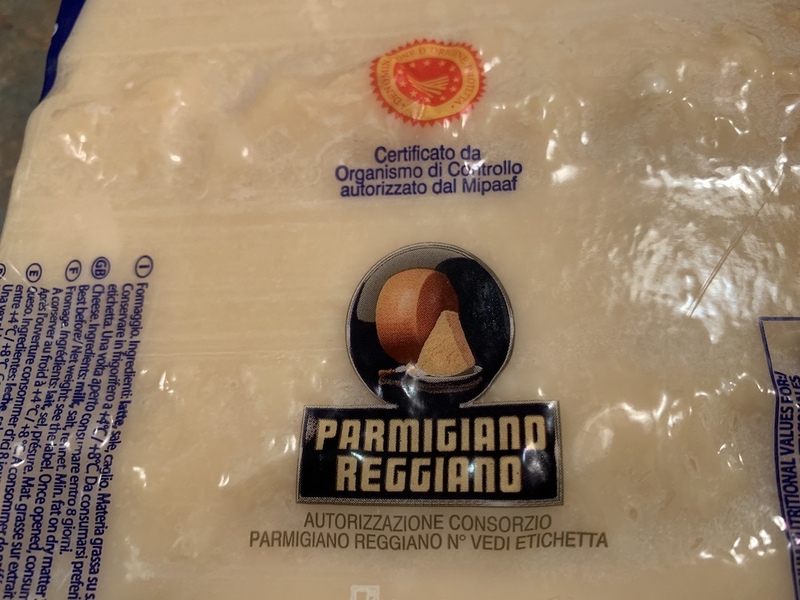 How do you know you are buying the authentic certified Parmigiano Reggiano cheese? Look for the name carved right into the rind. Small pinholes carefully spell out the name. If you can’t make out the etching on the cheese, check the label. It will be clearly marked, as you see below. There will be no mistaking the real deal. Now that you know how to find the best Parmigiano Reggiano, you will be sure to look for it by name. 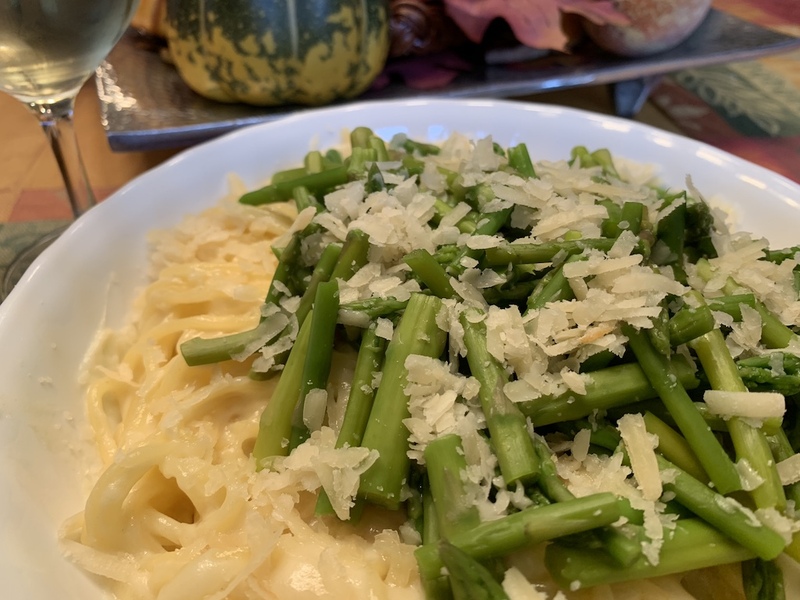 Be sure to include the best cheese in this recipe for Parmigiano Reggiano Pasta we want to share with you. 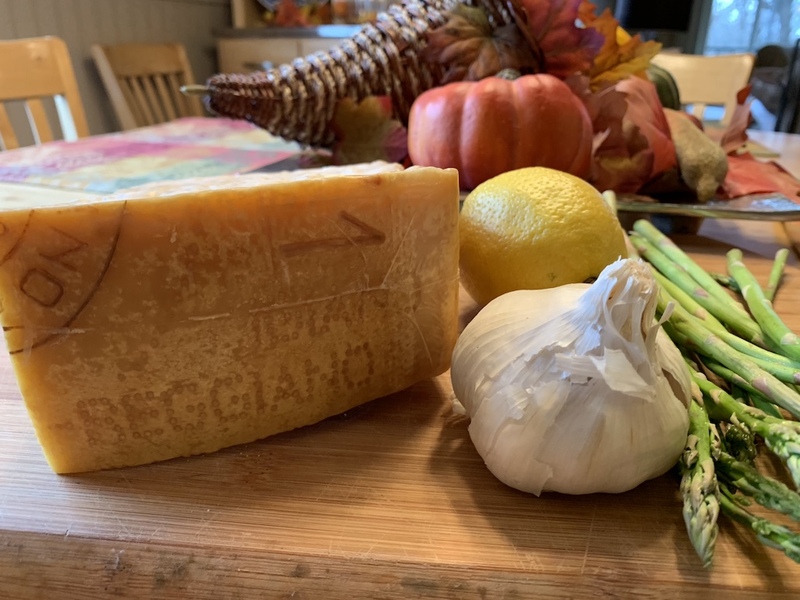 Starting with the best ingredients is always a good way to ensure your Parmigiano Reggiano Pasta will be a success. Substituting a lesser quality cheese, like the powdered parmesan you get in supermarkets will simply not work. Use only the certified cheese we recommend Parmigiano Reggiano. 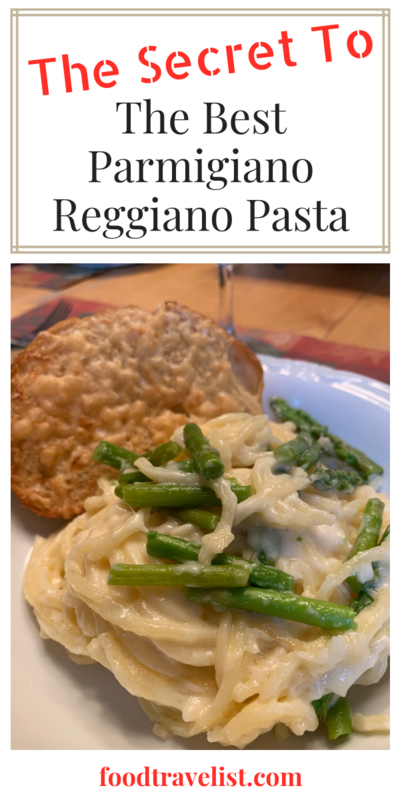 This Parmigiano Reggiano pasta recipe is so easy to make. 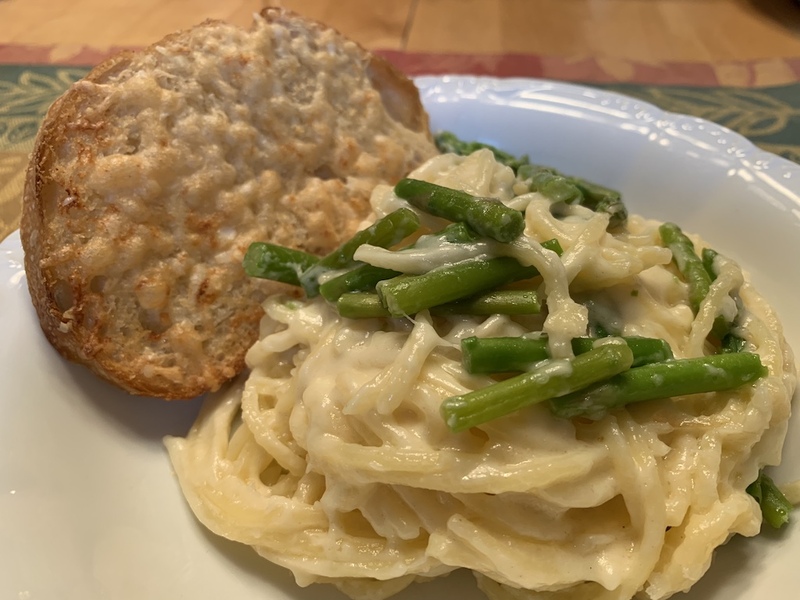 It freezes well too, so if you like, you can make plenty of the creamy, cheesy, garlicky pasta (without the veggies) and put into the freezer for a quick meal anytime. Choose your favorite pasta from elbow macaroni to fettuccini to fusilli or penne. We used spaghetti for ours. Boil pasta until “al dente” according to the instructions on the box. Set aside. Steam the fresh asparagus. Set aside. In a small saucepan, add milk and granulated garlic. Mix together to dissolve garlic into milk. In a large saucepan, add butter. Bring the saucepan to low heat until butter melts. Add flour and whisk to form a smooth roux. Add in heavy cream, Parmigiano Reggiano, mozzarella cheese and grated garlic. Bring to medium heat. 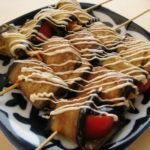 Meanwhile, whisk the sauce to completely melt the cheese and incorporate into the sauce until it is thick and smooth. Add the cooked pasta into the cheese sauce. After that, stir the pasta to evenly coat with sauce. Add chopped asparagus to pasta and blend gently. Top dish with 1/4 cup Parmigiano Reggiano and freshly ground pepper, if desired. Serve immediately. 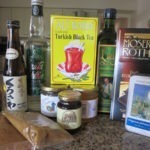 What goes great with Parmigiano Reggiano pasta? Bread of course. Use some of that extra shredded Parmigiano Reggiano to make some cheesy garlic bread. We had some fresh sourdough we picked up on our recent visit to San Francisco and it was a perfect accompaniment. Parmigiano Reggiano pasta dinner with cheesy bread. We hope you enjoy this tasty and easy recipe. The wonderful thing about this dish is that it’s flexible. You can add your own favorite veggies, meat or seafood and create your new family favorite. 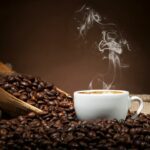 Let us know if you try the recipe and how your friends and family think. 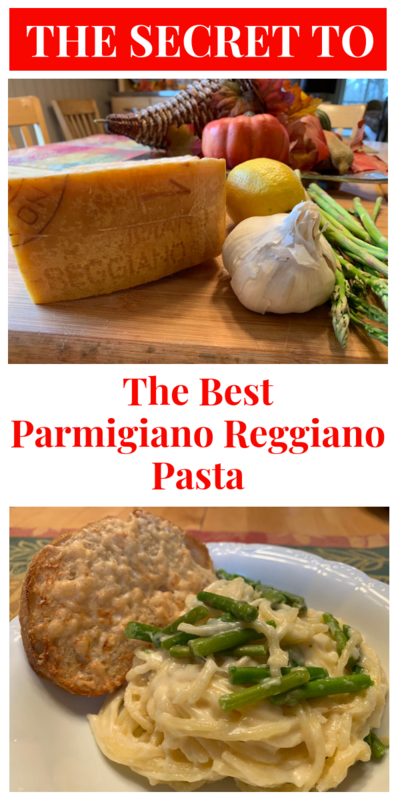 For more recipes and information about Parmigiano Reggiano check out their website Parmesan.com. 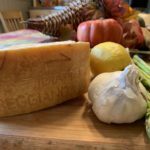 Thank you Parmesan.com for providing us the samples of Parmigiano Reggiano cheese to test for this sponsored post. 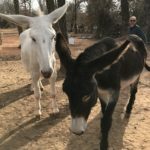 All opinions we provide are our unique views and reflect our experiences. We pledge to provide our audience with truthful and honest reviews.